I suppose by now it comes as no surprise that I am about to fangirl about Curtis Granderson. I mean, I’ll try to contain myself re: his devilish good looks, but only because I’ve already written about them and it’s starting to get creepy (#thosekneesockstho #notastalker). Plus, there’s actual, timely, newsworthy stuff to report here—Granderson has won the 2016 Roberto Clemente Award! Since 1971, the Clemente Award has been presented to an MLB player who “best exemplifies the game of baseball, sportsmanship, community involvement and the individual’s contribution to his team,” the winner is chosen by a combined fan and panel vote from 30 nominees (one player from each team). Originally called the Commissioner’s Award, the name was changed in 1973 to commemorate Roberto Clemente’s death one year earlier, in a plane crash en route to Nicaragua to provide relief for earthquake victims. Granderson is the 46th player to receive the award, with Paul Konerko and Jimmy Rollins as dual recipients in 2014, and the Pirates’ Andrew McCutchen as last year’s winner. Granderson’s charity work is well-known to Mets fans. 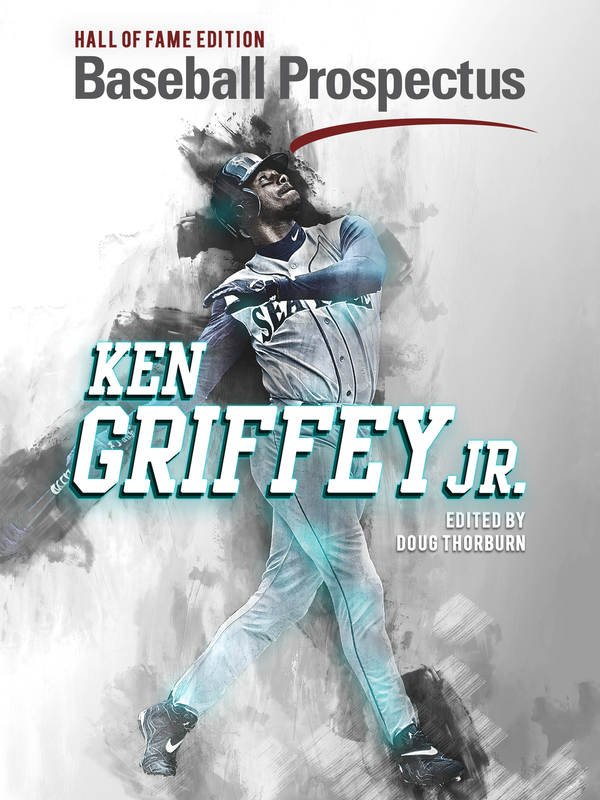 He established the Grand Kids Foundation in 2007 to provide baseball clinics and character development/education programs to underserved areas in New York and other cities. He’s also raised money for other NYC-based charities, is active in the Mets’ veterans’ appreciation programs, and partnered with Citibank in 2016 to raise money for No Kid Hungry. And I’m happy to report that Granderson is part of a strong tradition of Met Clemente Award recipients—the Mets, Orioles, and Cardinals are all tied at the top with four winners each. 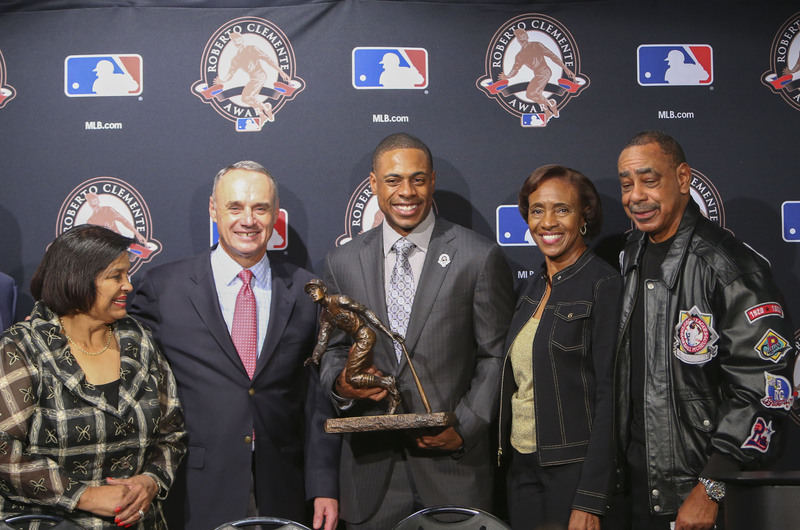 Here’s a look at some Clemente Award winners of old—no doubt Grandy’s in good company. Is sportsmanship and community involvement calculated into Carter’s 65.3 career WARP? The Clemente recipient in 1989, Gary Carter was also the first catcher ever to win the award. He started the Gary Carter Foundation to support reading programs in poverty-stricken Title I schools in Florida; with him at the helm, the foundation raised over $622,000. The foundation still exists today in his memory, operating a variety of programs to support health and education for Florida children. Carter was, of course, also an accomplished catcher—11-time All-Star, three-time Gold Glove winner, inducted into the Hall of Fame in 2003—with a career slash line of .262/.335/.439. The 2000 winner Al Leiter has long been renowned for his philanthropy, having given over $1.5 million to a variety of charities, including the Little Kids Rock support for music education in public schools, the Jason Taylor Foundation for literacy, and the Children’s Cancer and Blood Foundation. Leiter also won the Branch Rickey Award in 1999 and the Bart Giamatti Award in 2002 for his charitable work. As a pitcher, Leiter was a two-time All-Star and had a 3.80 ERA across 419 games, with a WARP of 21.8. Awarded the Clemente in 2006, Carlos Delgado is best known for his efforts in Puerto Rico, where he has donated to the non-profit organization Sapientis, and guest-taught with their health and wellness program in a public housing project. He also donated money and time to hospitals across the island, where he brought toys to sick children and purchased video equipment so his hometown hospital could be in contact with Boston hospitals for diagnostic purposes. Clemente has also been a strong pacifist voice, speaking out against the use of Vieques as a bombing practice target, and making waves as the precursor to Colin Kaepernick by refusing to stand during “God Bless America” because of his opposition to the war in Iraq. As a first baseman, Delgado was a two-time All-Star and three-time Silver Slugger, with a career line of .280/.383/.546 and a WARP of 46.7. Great job, team! 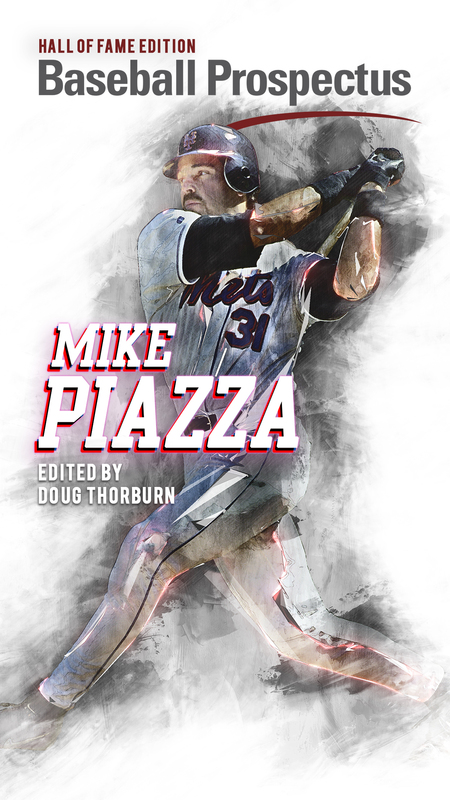 Coming off a season where the Mets made the controversial decision to pick up Jose Reyes, (or more problematically in my view, give him a hero’s welcome) it’s nice to be reminded of all the great stuff baseball can do for its community. Now, any chance we can get someone to take back Curt Schilling’s Clemente Award? Sara Novic is a writer and translator, and teaches creative writing in New York City. Her novel Girl at War is out now from Random House.